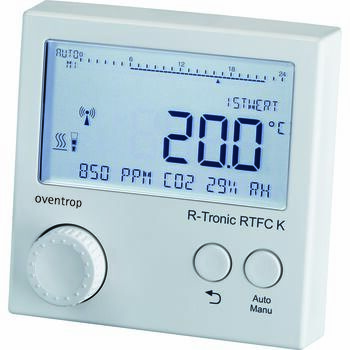 Wireless thermostat "R-Tronic RTFC K"
Electronic wireless thermostat for room temperature control according to adjustable timed programmes. 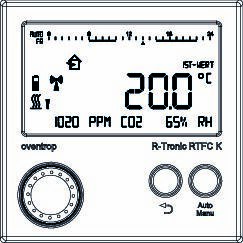 The nominal and actual temperature can be displayed. 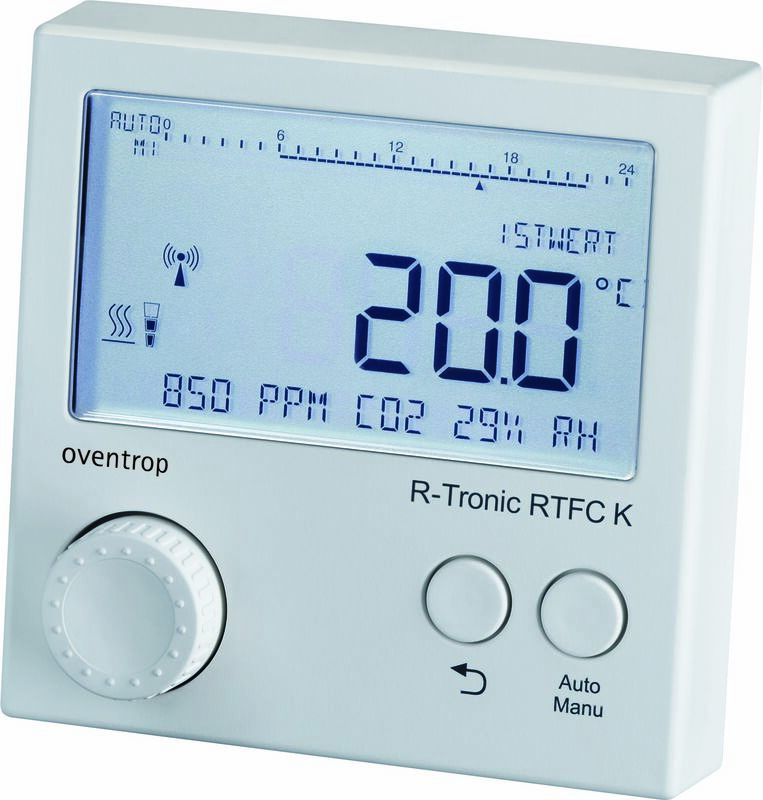 An integrated humidity sensor supplies information of the relative humidity RH in % and an integrated CO₂ sensor on the CO₂ content in ppm in the room air. Both values are displayed in the text line. If the preset limits are exceeded, a symbol asking for fresh air supply is displayed. Adaptation of further actuators for wireless thermostats "Aktor MH CON B" can be carried out via the menu command. Power is supplied by a mains adaptor (100-240 V ~/ 50-60 Hz) with table stand. Actuator "Aktor MH CON B" battery operated, connection thread M 30 x 1.5, for "R-Tronic RT B/ RTF B/ RTFC K"
Actuator "Aktor MD CON B" battery operated, squeeze connection, for "R-Tronic RT B/ RTF B/ RTFC K"